We are back with an update that comprises of some new features and fixes that some of you requested for. Time and again we’ve been working on making Convert Plus better. Therefore, we make sure that we satisfy most of our user requirements and demands through updates like these. 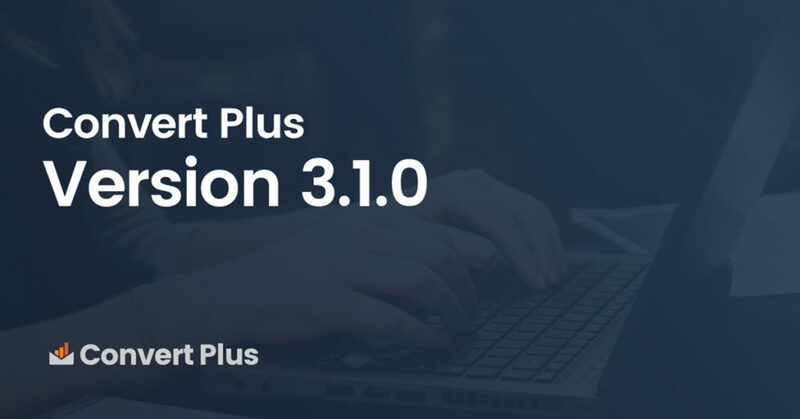 Here are a few highlights of Convert Plus version 3.1.0. Many a times users used the redirect action after successful submission. We’ve introduced the open link in new tab option for those who wish to keep the page open while the user moves to the other URL in a new tab. List of user roles added under the target logged in users list. Added a font color option for the After submission message for a slide-in. We have also worked on a number of fixes that you can see in the changelog here. You can go ahead and update Convert Plus to be able to use this new version on your website. You’ll receive an update notification soon. If not, please make sure that you have activated your license. Have suggestions, thoughts or ideas you want us to know? Please feel free to post them in the comments below or share them in our Facebook group. For detailed discussions, help or guidance, you can always write to us.